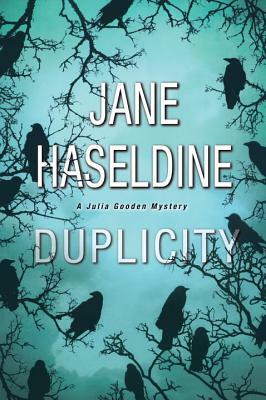 In Jane Haseldine’s new novel of riveting suspense, Detroit newspaper reporter Julia Gooden is up against the city’s most devious criminal—and her own painful past. Julia Gooden knows how to juggle different lives. A successful crime reporter, she covers the grittiest stories in the city while raising her two young boys in the suburbs. But beneath that accomplished façade is another Julia, still consumed by a tragedy that unfolded thirty years ago when her nine-year-old brother disappeared without a trace. Julia’s marriage, too, is a balancing act, as she tries to rekindle her relationship with her husband, Assistant District Attorney David Tanner, while maintaining professional boundaries. David is about to bring Nick Rossi to trial for crimes that include drug trafficking, illegal gambling, and bribery. But the story becomes much more urgent when a courthouse bomb claims several victims—including the prosecution’s key witness—and leaves David critically injured. Jane Haseldine is a journalist, former crime reporter, columnist, and newspaper editor, who also worked in politics as the deputy director of communications for a governor. Jane resides in Southern California.